IBM is upping its game in regards to deploying blockchain technology to the South African market. Yesterday, the company hosted its IBM Think 2018 event in Johannesburg, bringing together experts in cloud, artificial intelligence and imagination, business leaders and technologists. 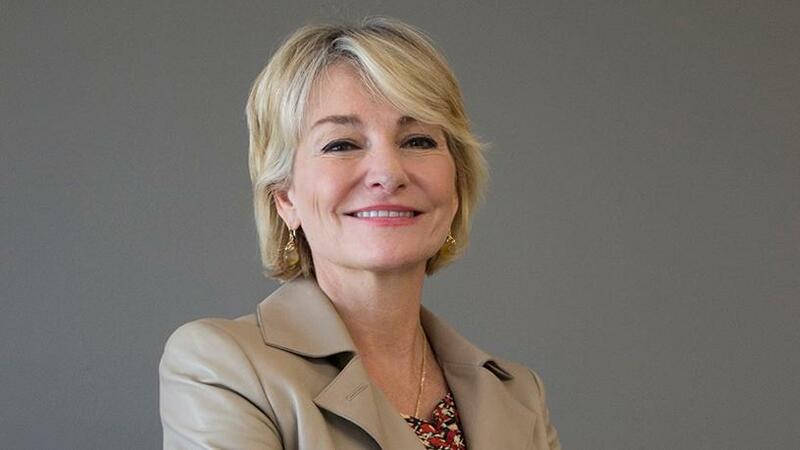 Speaking to ITWeb on the sidelines of the event, Bridget van Kralingen, IBM's senior vice-president for global industries, platforms and blockchain, said the US-based tech giant sees several use cases for blockchain technology in SA. IBM is one of the leading companies in enterprise blockchain after it invested early in the technology. It claims to have created the first commercially available end-to-end blockchain platform for business. The company has more than 400 blockchain projects under way, touching industries including education, food safety, identity, insurance, luxury goods, supply chain management and trade finance. Van Kralingen noted that IBM started driving blockchain as a business about two years ago when the technology was still nascent. "We have essentially spent two years taking the underlying distributed ledger technology and made it into enterprise blockchain. This means any enterprise can pick up blockchain technology and use it in a way they see fit. "We have now got into a situation where we have made the technology open and available to every developer. So we have a blockchain platform that any developer can use for free, create nodes, or set up smart contracts. We are trying to make blockchain accessible to the world." According to Van Kralingen, IBM is strongly backing blockchain because it provides trust, transparency, traceability and accountability. "What blockchain does is it allows anyone on the blockchain to see, agree, verify and keep a record of a transaction." She pointed out that the company sees blockchain gaining traction in industries that have complex contracts, workflows and supply chains. "In SA, we are seeing a huge adoption in financial services around payments, mortgages and insurance. We have also seen use cases from jewellery, food, shipping to verifying metals." For example, she added, IBM is working on a blockchain project with a consortium called TrustChain, where it tracks and authenticates diamonds, precious metals and jewellery at all stages of the global supply chain, from the mine to the retailer. It will provide digital verification, physical product and process verification and third-party oversight. The project's goal is to instil trust in the origin and ethical sourcing of jewellery. The mechanism is bringing together a community of responsible and ethical organisations across a complex and multi-tiered jewellery supply chain. Built by IBM Services on HyperLedger open source technology, and based on the IBM Blockchain Platform, TrustChain will use distributed ledger technology to establish a shared, immutable record of transactions that take place within a network, and enable permissioned parties to access trusted data in real-time. The second use case IBM sees for blockchain in SA is in micro-finance, said Van Kralingen. "The problem with microfinance at the moment is that it is spreadsheet-driven. We have worked with Twiga, which is a micro-financing company in Kenya." Twiga Foods in Kenya partnered with IBM to facilitate micro-financing options for vendors that in the past may or may not have had a credit score through blockchain-enabled finance lending. In the initial phase, the collaboration processed 220 loans at an average of $30 for approximately 50 on-boarded local vendors. The solution uses machine learning algorithms to predict credit worthiness, in turn giving lenders the confidence they need to provide microloans to small businesses. IBM is looking to bring such solutions to the South African market, Van Kralingen pointed out. "So though these are the two examples that I am most excited about, they are very suited for the South African market."